Feel free to send me an email with any questions or booking inquiries. I try to respond to all email within 24-48 hours. Thank you! 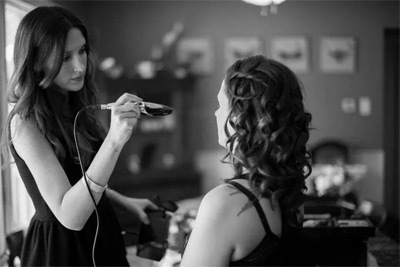 Deanna Lewis did my make up for my wedding […]�and I was so impressed by how natural her airbrush make up looked. She really listens to what you want and the end product is a flawless face that enhances your natural features. She is also so sweet and accommodating which is calming on such a hectic morning. HIGHLY recommend Deanna for make up (wedding or any special event)!